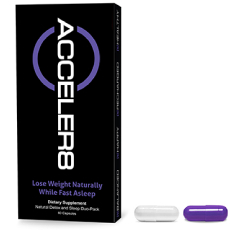 B-Epic ACCELER8 is a weight-loss pill that claims to help you lose weight while you sleep. It is an interesting supplement because it claims to be able to do a few things for you. First, and most obviously, is the claim that B-Epic ACCELER8 will help you lose weight. Simple and straightforward enough since we hear about so many supplements that claim to help you shed unwanted and troublesome pounds. The interesting thing about B-Epic ACCELER8 is that the makers state it will help you balance gut bacteria and get a better night’s sleep. According to the website, selling B-Epic ACCELER8, both unbalanced digestive bacteria and lack of quality sleep contribute to unhealthy weight gains. B-Epic ACCELER8 is a product that supposedly helps with weight loss, sleep, and digestive health. Who is the Manufacturer of B-Epic ACCELER8? The manufacturer of B-Epic ACCELER8 is a company called B-Epic. B-Epic partners with independent brand representatives to distribute their products. The products themselves are said to be the result of the latest research and technology. They make a couple of different supplements but they are all geared towards healthy living. They state that it will help you lose weight easily and naturally. How Does B-Epic ACCELER8 Work? The crux of the functionality of B-Epic ACCELER8 lies in the special proprietary blend categories that are in the product. They consist of a max bioavailability blend, a stress melt blend, and a deep slumber blend. The product also works by eliminating excess gut bacteria, like candida, which according to medical authorities, can lead to a number of syndromes and ailments. B-Epic ACCELER8 Ingredients – Are they Safe & Effective? The good thing about the ingredients of B-Epic ACCELER8 is that they are all natural. Even the dyes used for the pills are said to be natural. As for their effectiveness-that is something the consumer will have to find out for themselves but let’s have a look anyway. Melatonin – This is a common and natural enzyme that may be used to induce slumber. Magnesium Citrate – Magnesium citrate may help regulate sleep quality, helping you get to sleep and then inducing a deep sleep state. Lemon Balm Extract – It is believed that lemon balm has a positive effect on stress and therefore sleep. Passionflower Extract – This botanical extract has been used to alleviate stress and treat insomnia. Niacinamide – Niacinamide may be converted into tryptophan which plays a part for neurotransmitters like melatonin and serotonin. Valerian Root Extract – This herb is most commonly used as a sleep aid. Calcium Citrate – Calcium citrate can bind with other minerals that have negative effects on the body and help remove them. Senna – Senna may be able to act as a detoxifier and have weight loss benefits. Milk Thistle Extract – Milk thistle extract has been studied and shown to have weight loss properties. Aloe Vera Root – Aloe Vera root may combat water retention which contributes to overall weight. What are the Advantages of B-Epic ACCELER8? This product may be able to act as a stress reliever. B-Epic ACCELER8 may be able to help you lose weight in a convenient manner. The ingredients in this product appear to be all natural and may not have negative effects. It may also be possible for B-Epic ACCELER8 to help improve the quality of your sleep. What are the Disadvantages of B-Epic ACCELER8? There are two different pills that you have to take with B-Epic ACCELER8. The capsules may not be suitable for vegans to ingest. The product is made up of two different pills that contain many ingredients, increasing the risk of allergic reactions. B-Epic ACCELER8 may not be as effective as clinical strength weight loss pills. How Should You Take B-Epic ACCELER8? The packaging of B-Epic ACCELER8 has the instructions for use and they are to take one purple pill and one white pill half an hour before you sleep, with water, once a day. How Much Does B-Epic ACCELER8 Cost? Retailer site offers a sample pack of the product of 60 capsules costs approximately $59.95, and 2 packs of 60 pills is approximately $99.95. What is B-Epic ACCELER8’s Return Policy? The return policy for B-Epic ACCELER8 states that you have 30 days from the original purchase date to request a refund and you have to get in touch with the company and receive an RMA number. Does B-Epic ACCELER8 Offer A Free Trial? There is no free trial offer for B-Epic ACCELER8. Once you pay the initiation fee and become a member, it’s possible that you will receive samples but that is not guaranteed and is not free. It is apparent that B-Epic ACCELER8 comes with its fair share of benefits and drawbacks. Firstly B-Epic ACCELER8 may be able to help you sleep better, the ingredients are natural, and it may even improve the health of your digestive system. On the other hand, it may be difficult to lose weight without diet and exercise as this product claims you don’t have to do anything but sleep and take the pills to lose weight. The capsules may not be vegan-friendly, and it may not be as powerful as clinical strength drugs. We suggest looking at other weight loss supplements as well before making any decision.